I hope you aren't sick of washi tape yet, because I've got another post dedicated to it's many uses! Seriously, I'm addicted to this stuff. If you haven't snagged a roll (or 10), I suggest you do so soon. The tape used in this post was all purchased at Target in the office supply section. Also, when looking for it in stores, it's usually called paper tape, decorative tape, crafting tape or printed tape. Just a helpful tip from me to you. I've mentioned to you my master bedroom face-lift and I'm getting really close to showing it off. I promise. I just have a few more frames to fill. And, frame-filling takes time. And, these things can't be rushed. So, in the meantime, consider this washi tape tour a little teaser. 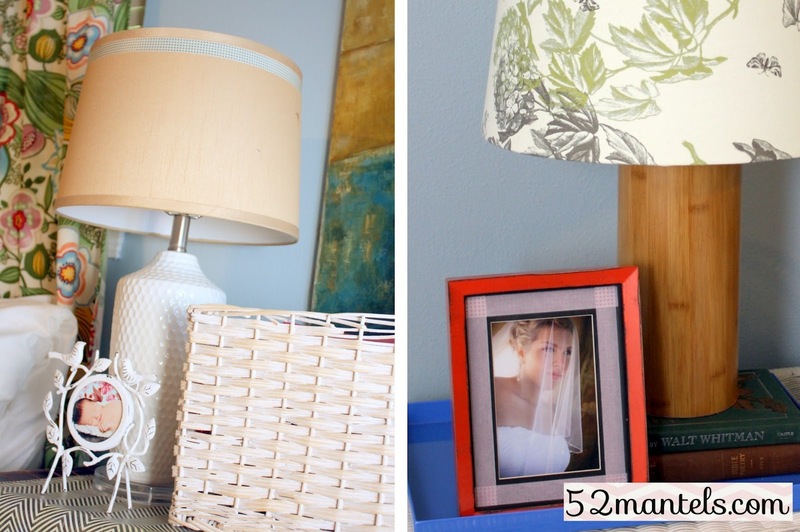 Can you spot the washi tape in these photos? Okay, so it isn't exactly hidden. 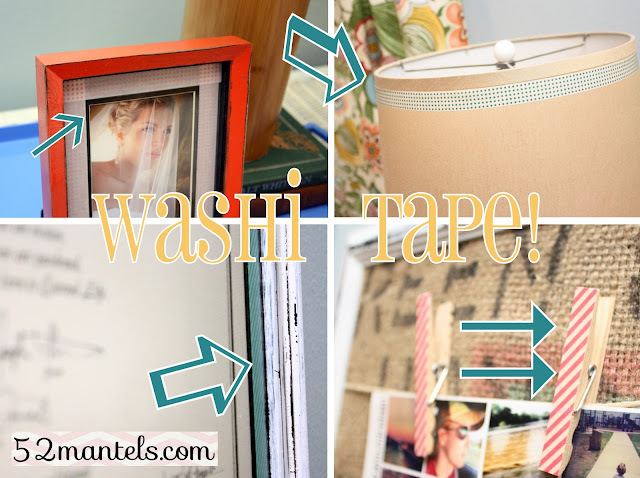 Are you sold on the virtues of washi tape (printed tape, decorative tape, paper tape...) yet? On the two picture frames, I simply added tape to the top of the glass, just to jazz up two black mats. For the lamp shade, I trimmed the top with one line of washi tape. Yes, I've used the lamp plenty and have yet to experience any melty tape. Though, it's merely a reading lamp and never on for extended periods (for the sake of full disclosure). For the clothespins, I added a line of tape and trimmed with an exacto knife. Wa-la! Have you used this fun tape yet? What's your favorite thing to do with it? I'd love to know!! On a totally unrelated side note, I'm headed out of town again! Yay for Summer, right?! If you want to follow along on my journey again, you can stalk me on Instagram. It's okay, I don't mind. I'll probably enjoy stalking you back. 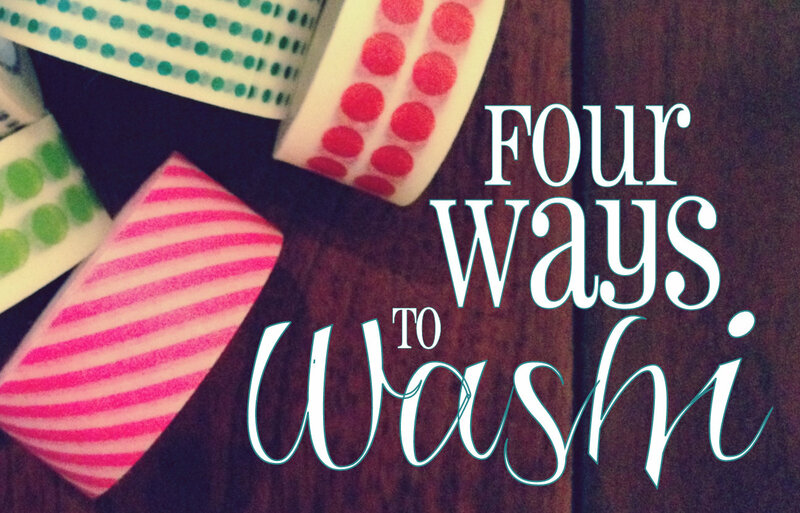 Love the way you washi! Next time I go to Target, I'm buying some. You've inspired me! I'm glad you explained this to me. I've been wondering what Washi tape was and I can see its practical applications now! Love the clothes pins. Believe it or not, I've never used washi tape. I don't even own any! Very nice! I love all the ways you used the washi tape! I love what you did with the washi tape! So cute! :-) Have a wonderful trip! I'm glad you added the word 'makeover' after bedroom. It's late and my eyes might have red that funny. I love that you can make so many things with washi tape! it makes everything prettier. Very clever! I would never have thought to use Washi tape. I've looked at HL & Joann's for Washi tape, but haven't found it yet. I need to check Target and Michael's. Have a great time on your vacay! How cool is that - I need to great some. I can't find washi tape either...Tell me where?!?! Oh and I "HEART" your instagram collage...Did you throw that bad-boy together yourself or use an app or program? ?